In 2003 we sailed on Celebrity Constellation to the Baltic - at least we began the cruise. We'd spent two nights in London pre-cruise and boarded the ship. 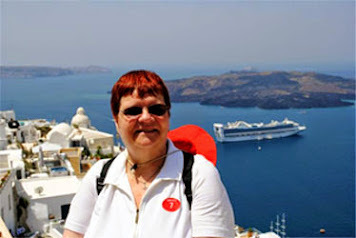 We had planned a private excursion in St. Petersburg, Russia with folks we met online. Shortly after sailing, the phone rang in our cabin - it was my niece with bad news. My mom had passed away. Our cruise was about to end abruptly. Since we had the tickets for the Russia excursion, we contacted the others that were going with us. We broke the news to them that we'd be disembarking at the first port of call, Oslo. Immediately, they said, come meet us for a drink in the Martini Bar. I'd never had martinis before, but agreed. This is where I had my first chocolate martini. I don't have any pictures - we weren't really in the mood as you might imagine. 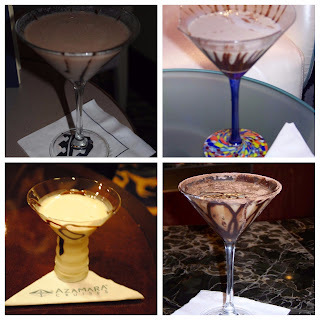 From that point on, I've tried chocolate martinis on most cruises. I think to myself "Mom this one's for you." I'm pictured above 3 years later when we concluded our trip on Constellation. 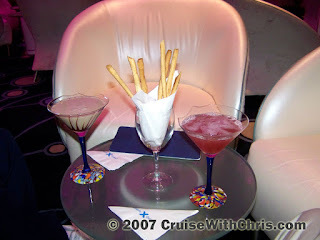 We sailed on Celebrity Century in 2007, right after it was refurbished. An ice bar was added which served martinis. Once again we met a group of passengers online and we'd meet with them each night before dinner. We'll never forget the bartender, Leo, and his assistant, Enrico. The first night I ordered a chocolate martini and I told Enrico that I liked them to be creamy. Leo made the perfect chocolate martini. They wrote our names in the ice bar and from then on, they knew us by name each evening. We didn't even have to give them our room key - they already would have the receipt filled out with our information. The tables and chairs would be arranged for our little group, awaiting our arrival. One night, we didn't show up for our pre-dinner cocktail. When they saw us later that evening, they told us they were all concerned. It turned out that we'd made dinner reservations at one of the specialty dining venues at our usual meeting time. Sometimes we'd arrive early and Leo wasn't there. Enrico would try to make the chocolate martini but he just couldn't get the proportions correct, and he'd say we'd have to wait until Leo arrived. Memories like this are priceless. Their friendly service has stuck with us all these years. Enrico had previously been a butler, but when there were no openings when his contract was renewed, he took this new role. We are so happy that he did. Here are some of our favorite chocolate martinis. Three of them are from the Royal Caribbean family of cruise lines - Royal (Allure of the Seas), Celebrity (Century), Azamara (Journey). The final entry here: Carnival Triumph. We've started a Pinterest board, "Margaritas, Martinis, & More" where we will post some of our favorite martinis and other drink creations from our cruise vacations. Do you like chocolate martinis as well? 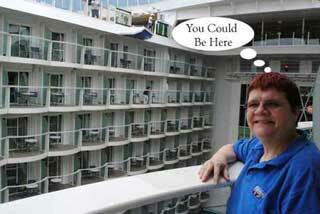 Perhaps you'd like to join us in our quest to find the perfect one onboard a cruise ship. 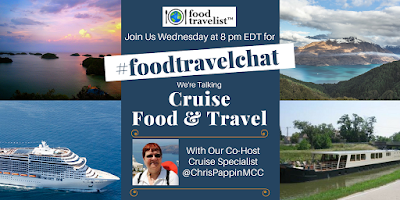 If you love Food & Travel you should join #FoodTravelChat every Wednesday at 8 PM Eastern. I'm one of the chat moderators. 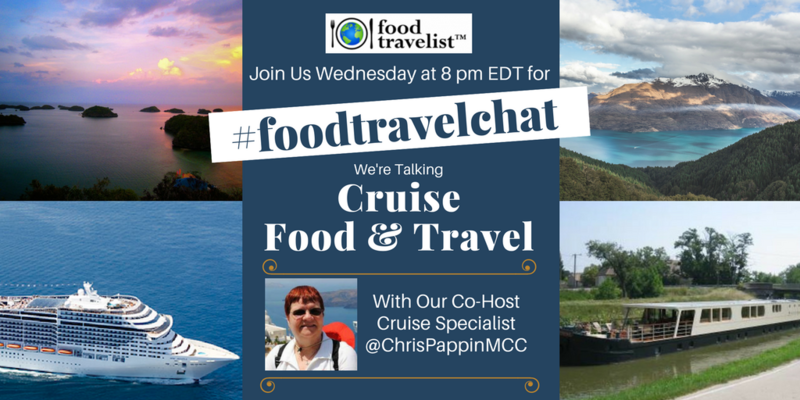 This week, I'm Co-Hosting the chat, where we will be talking about Cruise Food & Travel. We've just completed our eleventh annual appearance at the Streamwood Summer Celebration's Business Expo sponsored by the Streamwood Chamber of Commerce. 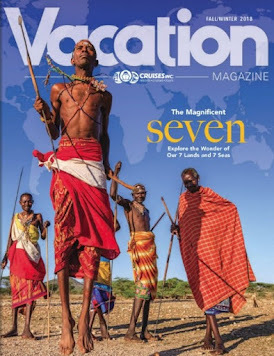 It would have been #12, but we missed one year to go on a river cruise. The Summer Celebration runs the last weekend of July each year and is well attended. The weather this year was the best of all the years combined. Usually it rains at least one day, but not this time. There was a nice breeze blowing through the Business Expo tent which made it enjoyable. Friday night had record-setting crowds, partly because of the weather but also the feature band, American English. Saturday was another gorgeous day with more record-setting crowds. Sunday was warmer and more humid, but even that didn't keep the crowds away. 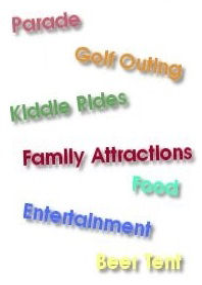 In addition to show-casing local businesses in the expo tent, there were plenty of activities for families. Local bands performed throughout the weekend, there was a parade on Saturday with about 100 entries this year, rides for the children and young at heart, bingo, face-painting, ice cream eating content for the children and lots more. Many volunteers from the village make this a special event each and every year. We spoke to many couples, families, and individuals that were interested in getting away for a vacation. As usual, we had a large supply of brochures, which we call "wish books" on hand. 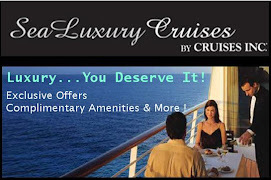 Alaska cruisetours and European River Cruises were the most popular areas of interest in the cruise category. Europe and National Parks were the most popular land tour destinations. 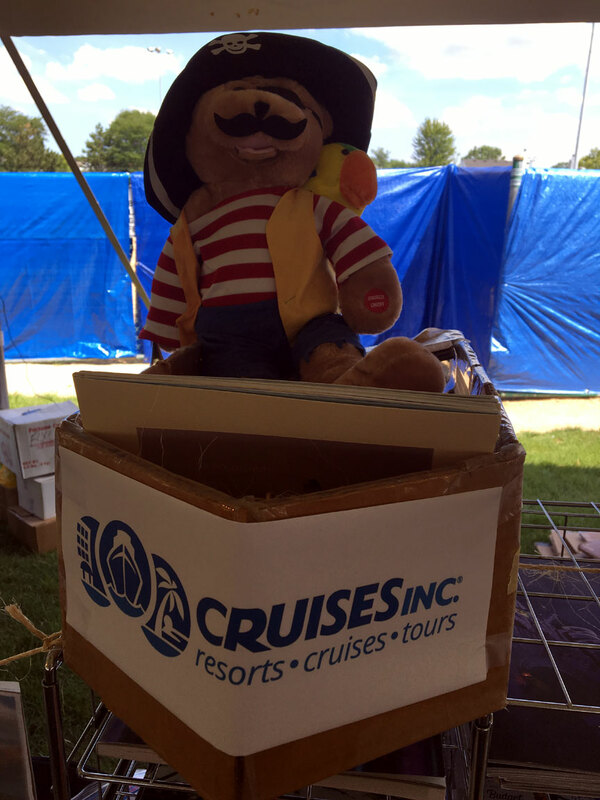 Cuba, which we talked about in our previous post, was another destination with lots of interest among fair goers. We had a spinning wheel Friday & Saturday where participants could spin for promotional items and onboard credits. Due to high volume those days, some items were in short supply, so it no longer made sense to spin to win. 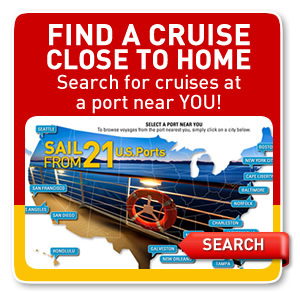 We love talking to people about our more than 30 years of cruise and other vacation experiences. It was also great talking with our loyal customers about their experiences and their upcoming plans. 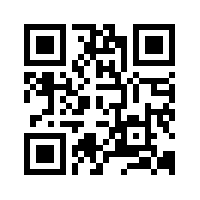 If you didn't register for our eNewsletter, be sure to do so on our website. This way you'll always be aware of our latest promotions, including exclusive offers that won't be found anywhere else. 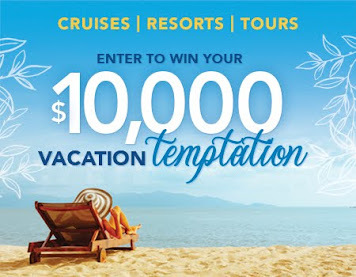 You could even win a cruise for two in our quarterly drawing. We'd like to welcome new readers to our Blog, Facebook fan page, Twitter, Pinterest, and website, who stopped by to talk with us at the Summer Celebration. 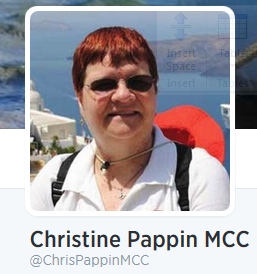 I look forward to talking to you more in the future to help plan a great cruise or land vacation for you and your traveling companions. We've included links here with a brief explanation of some of the resources we offer to our followers. Please be sure to take advantage of all these opportunities, as that is the best way to stay informed. This will be our 11th appearance at the show. I have turned over my role as Chairman of the Chamber's Summer Celebration Committee so I shouldn't have to split my time between the Chamber Booth and my personal one, and look forward to meeting many of our fans during the three day event. 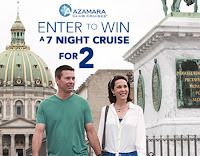 Several cruise lines offer People-to-People experiences which include overnights in Havana, Cuba. This is perhaps the best way to visit Cuba because it eliminates any fears about the country's infrastructure not supporting tourism - your ship is your oasis. 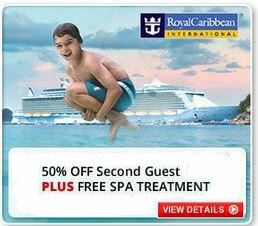 You may be familiar with BOGOHO promotion where you get 50% second guest. 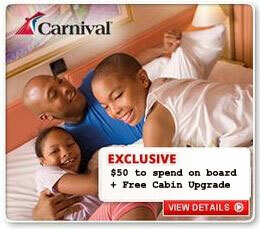 Now the offer is even better when combined with Kids Sail Free promo. 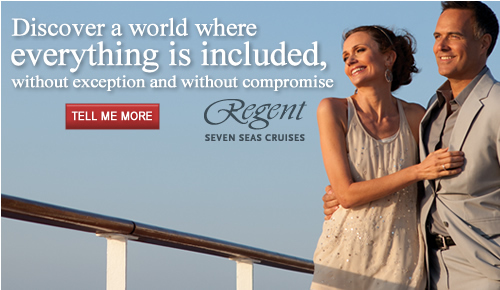 Additional amenities are also now combined to make this an even more attractive offer (Valid on select ships & sailings). Hurry - These are Limited Time Offers! Those of you who were alive in 1969 probably remember where you were when you heard those immortal words as man took its first step on the moon. I've always had a fascination for exploration and that's perhaps why I love cruising so much. I can only imagine what it was like to be in a space craft heading for orbit and on to the moon. 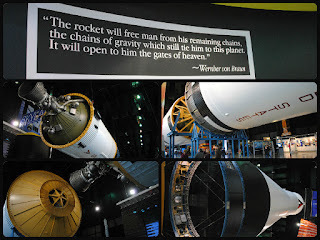 Today, in honor of #MoonDay and #SpaceExplorationDay, we thought we take a break from our normal blog posts about cruises and resort vacations and talk about a day trip to Huntsville, Alabama. 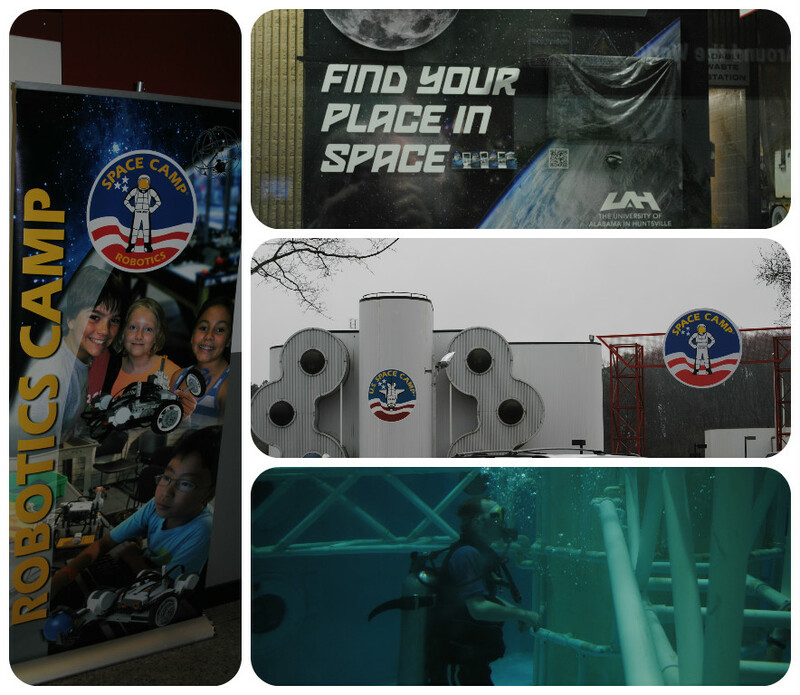 Huntsville is home to the U.S. Space Camp located with U.S. Space & Rocket Center. We recently visited with our grandsons in Tennessee and from there it wasn't a long drive to Huntsville, AL. We left early enough in the morning where we could get to the space museum about the time it opened. Even before you enter the building, you are greeted by rockets and other space craft on the grounds. Imagine seeing this through the eyes of a youngster. Their eyes were as large as a space saucer. 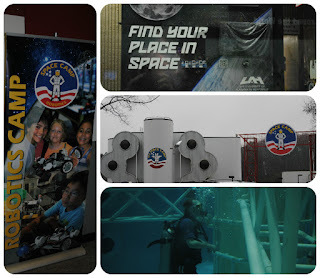 Inside and outside the museum there are plenty of exhibits to peak the imagination of young and old plus tell the history of the U.S. space program from its inception until today. 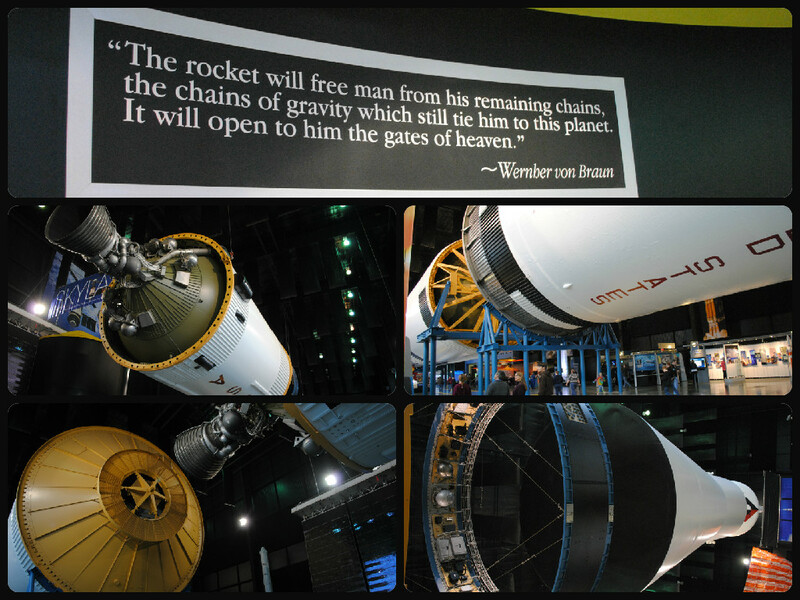 View our Rocket Center USA album on Shutterfly to see what your day has in store for you when you visit.